Back in 1973, when an aunt of mine, Annabelle Revis, moved into her ranch-style Westbury home with her husband and young son, the backyard, while large, was pretty bare. There were a couple of old banana trees, a few trash trees, maybe a stray rosebush. It was a far cry from the lovely garden of her childhood home in Santiago, Chile. Revis wanted to recreate some of that beauty, but on a budget (after all, they were a young family). She began asking for plants for her birthday and at Christmastime. Oh, and she made use of a secret weapon, too: the sweet old woman next door. Many of her long-gone neighbor’s plants are extant, with the result that Revis’s backyard today is a paradise bursting with begonias, bougainvillea, azaleas, vincas, gardenias, hibiscus, plumerias, amaryllises, rain lilies, ivies, succulents, and everything—and we mean everything—in between. 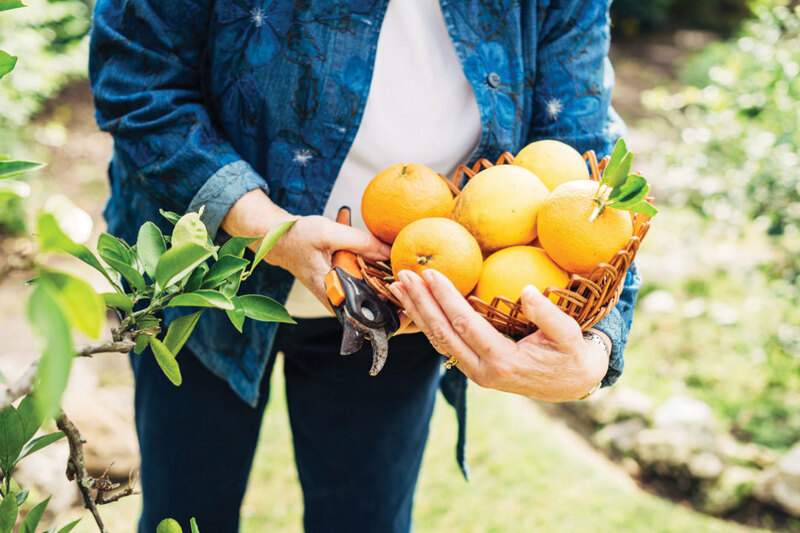 On our wintertime visit, lemons, oranges, and grapefruits hung heavily from the trees, and what she calls Houston Knockout Roses were blooming like crazy. Some of these came from nurseries—Revis estimated she spends about $100 a year on annuals—but they are the exception. As for the rest, the two-time neighborhood yard-of-the-month winner propagated those on her own by harvesting seeds and cuttings, and tending to them in her own little makeshift nursery. If a plant’s doing well she makes sure to clone it, and she’ll plant, trade, or gift the offspring. As a result of all this shuffling, much of what’s growing in Revis’s yard has sentimental value, including several specimens from her beloved mother-in-law, who’s been gone for more than a decade. Asked for tips, Revis said that the best time to take cuttings is after a mild winter, from mid-February through April. Put them in vases of water on a sunny windowsill, and as soon as roots appear, throw them in pots. Come summer, if you want to, plant them in the yard. It sounds pretty simple, but then, “I have gardening in my blood,” Revis admitted. Still, she insisted that anyone with a will can create her own paradise-on-a-budget. We’ll be testing that theory this spring and summer, we thought to ourselves, driving back through Westbury with a trunkful of cuttings.